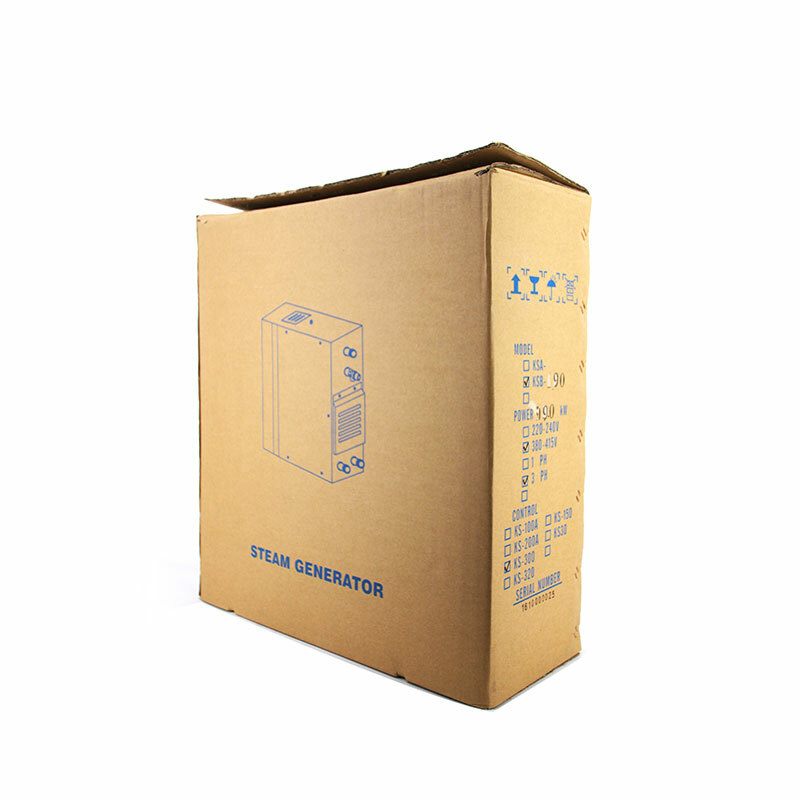 Notice: Premier KSB series steam generators are equiped with in-generator auto drain and heat-preserving function which is a pefect choice for home and comercial steam bath. Continuous and steady steam ouput could be produced about 2 minutes after the steam generator is turned on. 3/4/5 kW units only have 220-240V version, and 9-12 kW units could be customized to 220-240V on requests. 2) Multiple safety protection . 3) Improved water-proof connector . 4) #304 stainless steel water tank. 5) Display both room temperature and working time . 6) Automatic water supplementary function . 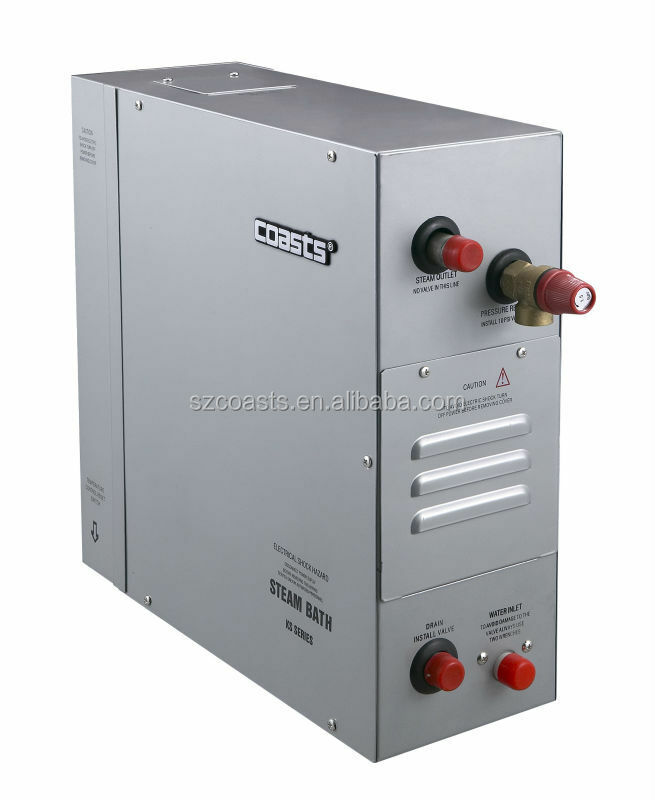 7) Dual steam outlets for large power units 12kw and above, much safer! 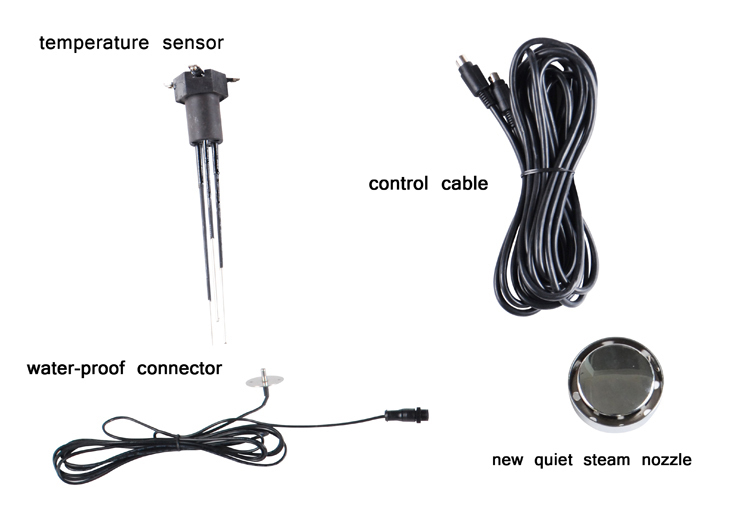 8) Special water level sensor design for large power units 12kw and above, more stable! 9) Speical segment-Heating function to prolong life of heating elements and save energy. 10) unique fast-steam function, could produce steam within 5 minutes once initialized. 11) Motorized auto-drain system to prolong life of heating elements. 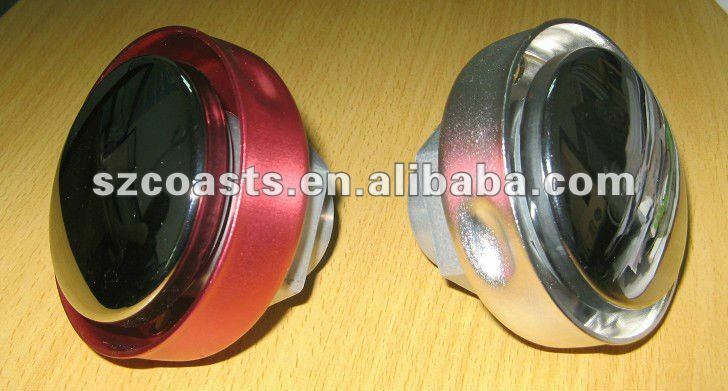 With manual drain button for emergency and service. 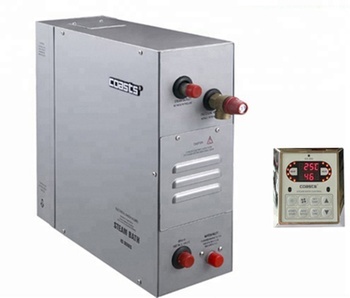 The COASTS KSB series Premier steam generator is equipped with KS-300 digital control panel. As the third generation of our steam generator product, the Premier series shows our professionalism and delicacy in every details. From design to manufacture, we always take customer satisfaction into consideration and constantly develop both our minds and products to bring you easy and pleasant steam bath experience. 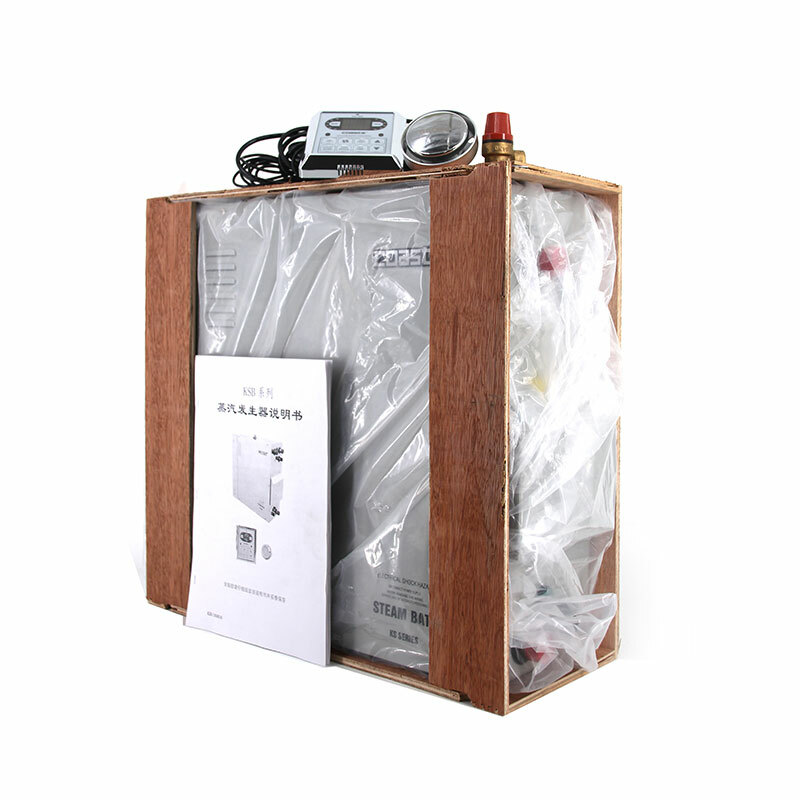 The Premier series features the unique "Instant Steam" function, which could significantly reduce the steam output time from 6~8 minutes to about 1 minute to satisfy the demand of fast steam output by every steam bather. 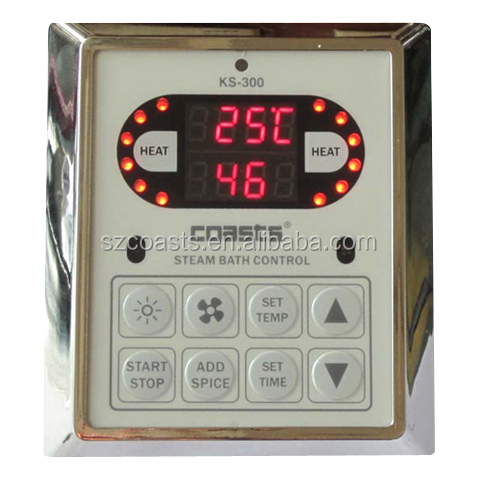 With the updated KS-300A digital control panel, you could control supplementary steam room accessories from our company, such as the Chromatherapy Mood LED system, Aroma pump or Vent fan. 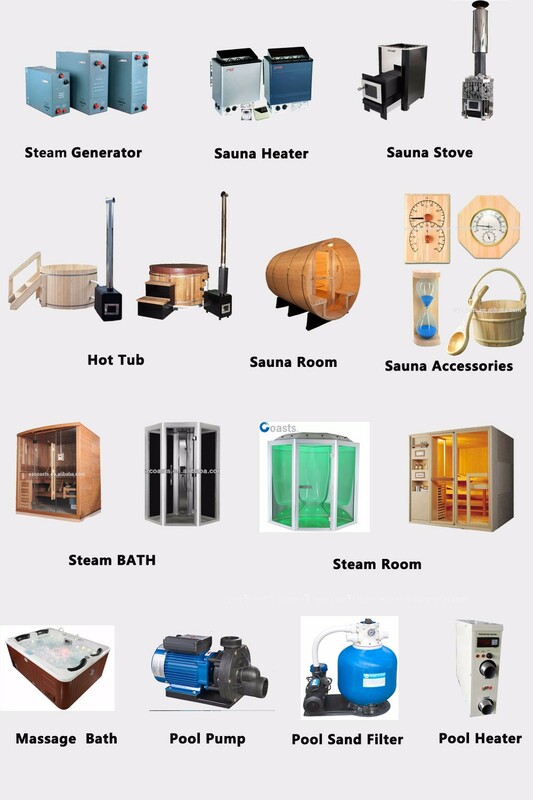 The latest Premier series steam generator is built with advanced technology and innovation to satisfy all demands of modern residential steam bath or commercial use.